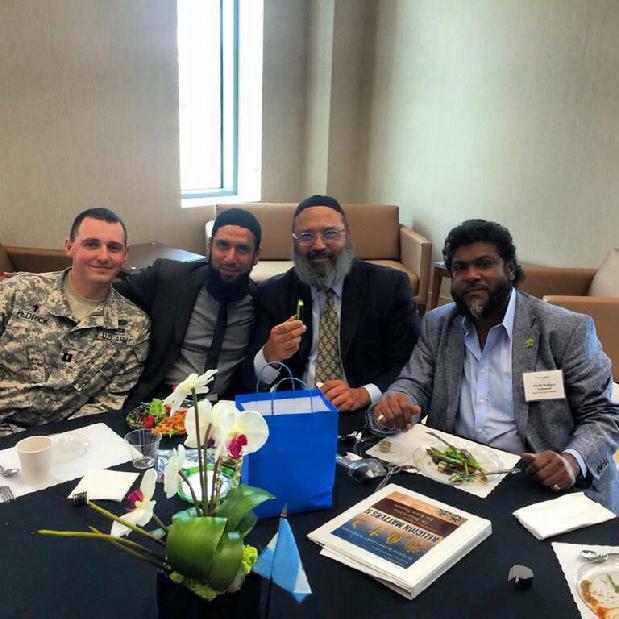 Al-Hamdulillaah- Mr. Bernie Rosenberg from Pipers Glenn Clubhouse, Boynton Beach Florida USA, invited Rabbi Barry Silver from La Dor Va Dor Congregation and Shaikh Shafayat from Darul Uloom Institute to an interfaith lecture on Wednesday January 13th, 2016. 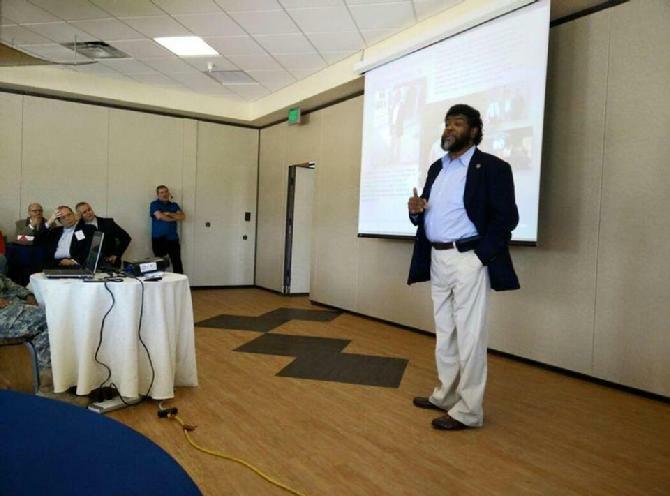 The topic discussed was Islam, God & America to an audience of Jews and Christians. The event was a great success! 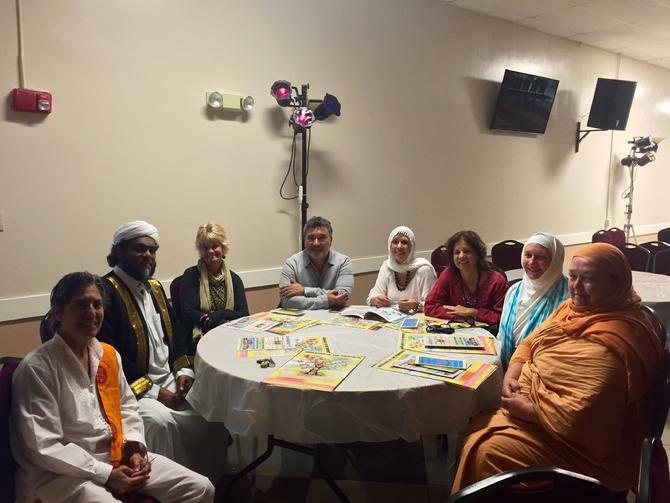 Sacred Journey Interfaith Seminary of Wilton Manors, Florida recently attended Jumua on Fri. Oct. 2nd, 2015. 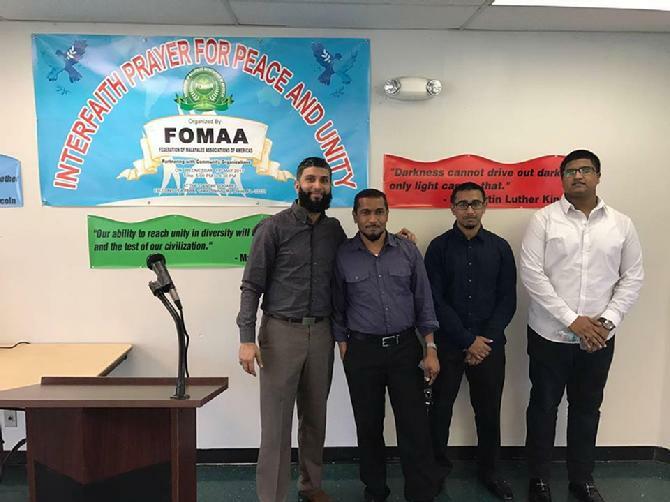 After listening to the Khutba by Shaikh Shafayat and observing the Salaah, they visited Al-Hikmat Headquarters and Interfaith center. 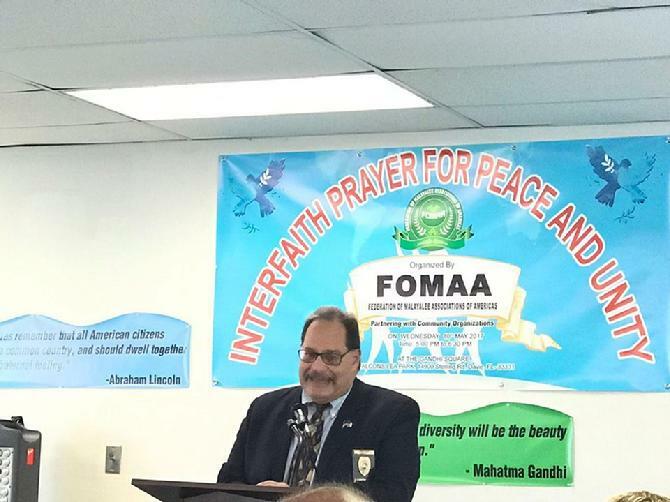 Emerge USA Interfaith Iftaar @ Darul Uloom Islamic Institiute Pembroke Pines Fl. 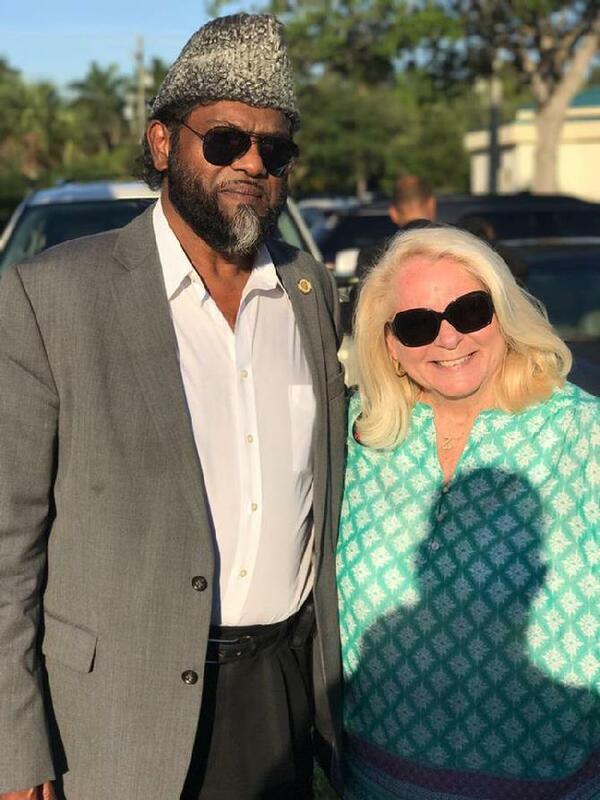 Al-Humdulillaah, Shaikh Shafayat doing the opening invocation for the Florida Democratic Party Leadership Blue Gala @ the Diplomatic Resort in South Florida with US Senators, Congressmen, and over 1000 attendees!! 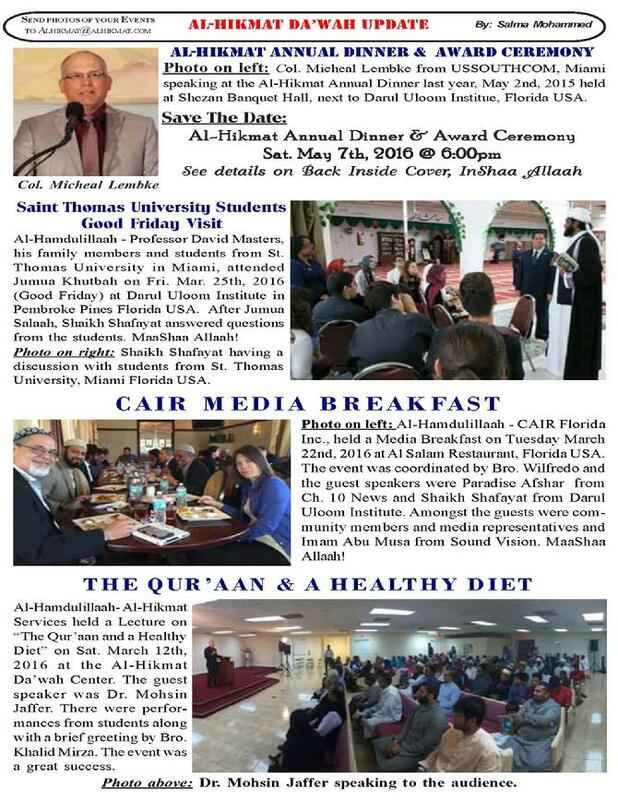 CAIR Interfaith Iftaar @ Darul Uloom Islamic Institute Pembroke Pines Fl. Shaikh Shafayat gave a short message on Iftaar / Ramadhaan to the Non-Muslims. As many of you are aware, our Church of St. James the Fisherman and Keys to Peace, recently hosted the Drepung Gomang Tibetan Monks. They spent a week crafting their beautiful Sacred Art Sand Mandala for Peace (All religions coming together as ONE.) I was amazed to see how many people graced our Sacred Spaces during this very special week. 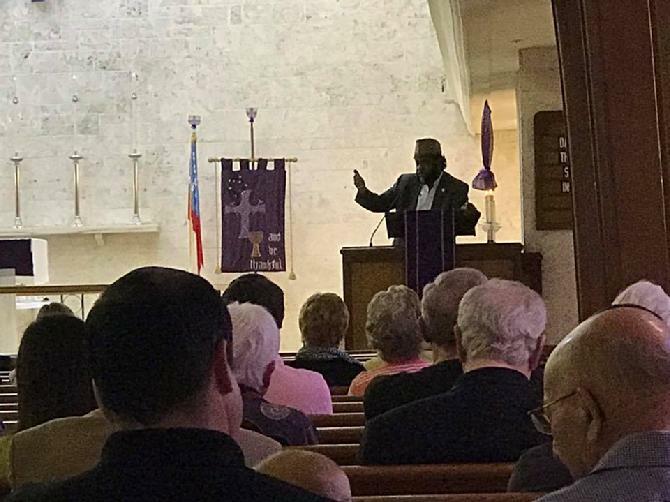 While all of the activities, no doubt, held special significance for those involved, I was particularly touched by a Tuesday evening event at our church. Originally it was entitled, "Evening with the Monks at the Church." As time unfolded, the evening took on a life of its own. 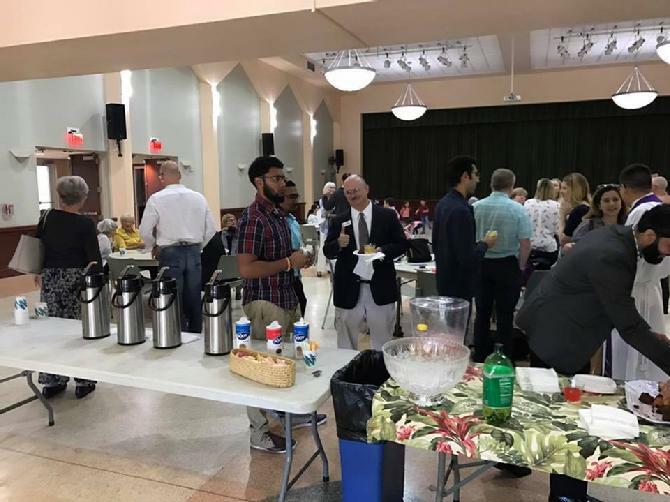 That evening our church was full with people from many different religious/spiritual backgrounds. It became "AN EVENING OF LIFTING OUR VOICES/SELVES AS ONE." 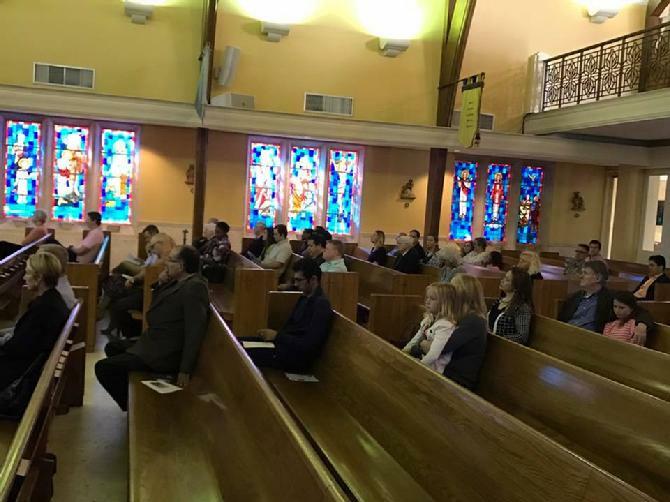 The evening began with a brief introduction to the event, and a sounding of our Church Sanctus Bell, followed by a time of SILENCE to bring forth all of our prayers, thoughts, positive energies. There was then a blowing of the Conch by a local expert. who later gifted the Monks with a conch. (Which now accompanies them on their pilgrimages and holds a special place on their altar. we then were gifted by the Monks offering of Sacred Chanting, Song and Music. Thereafter a number of people came forward and blessed us with additional song and music. This was interspersed with some history concerning this venture and the positive impact of coming together as ONE. The evening ended with the blowing of the Shofar by the President of The Keys Jewish Community Center, and all present offering one another a SIGN OF PEACE. What a blessing the evening was for all who attended. 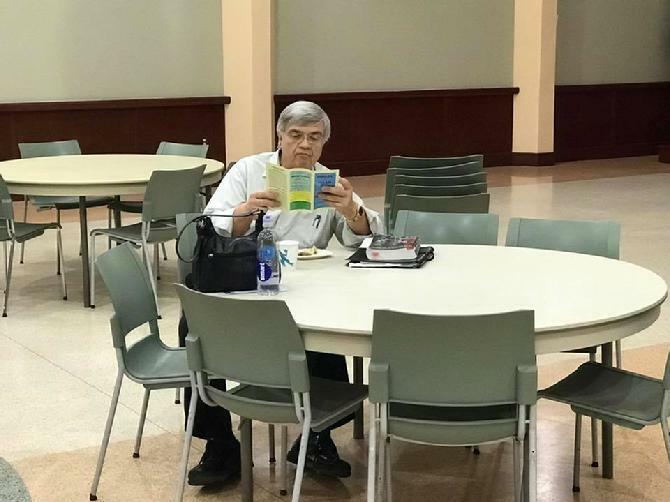 There is already talk of continuing ecumenical gatherings in the future. The Monks were clearly touched by the love exhibited by all those who were in the church that evening, and all who supported this venture throughout the week. At one point they made reference to The Keys being a very special place that could possibly change the world. They spoke of The Keys being at the end of Florida, and seeming to form a ROPE-LIKE image at the end of the United States. They made the analogy that The Keys were like a LIFE-LINE that was tugging on the rest of the United States, and was going to pull everyone together, which would have a "ripple effect" world-wide. 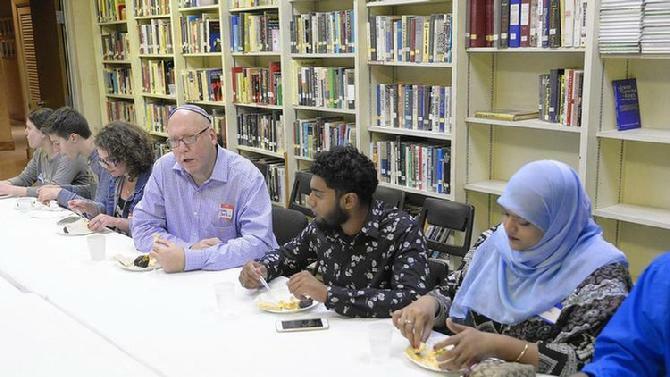 While we need to understand and respect our differences, we must continue to delineate our similarities and celebrate the things that can bring us together as ONE. 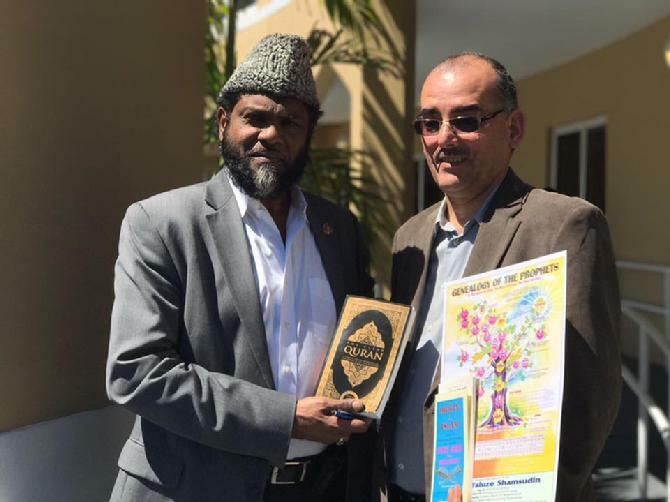 This month a good friend and I will be making a presentation for the Friends of the Marathon Library on the similarities and differences between Islam and Christianity. 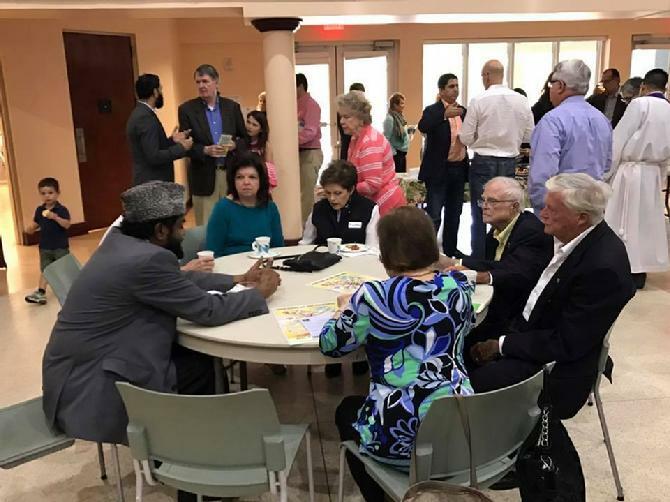 (February 26, 2015 @ 2:00PM @ St. Columba Episcopal Church) Sheik Shafayat Mohammad is an Imam at Darul Uloom Islamic Institute in Hollywood, Fl., and the President of Al-Hikmat Publications. 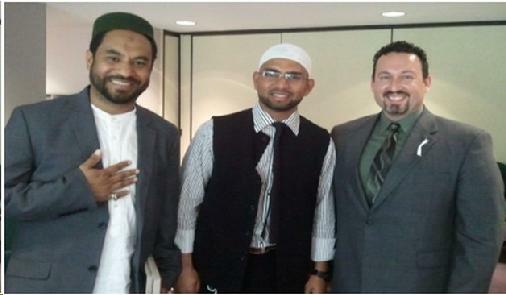 I have known him since 1997, when I began bringing students from my World Religion Class to his Mosque. 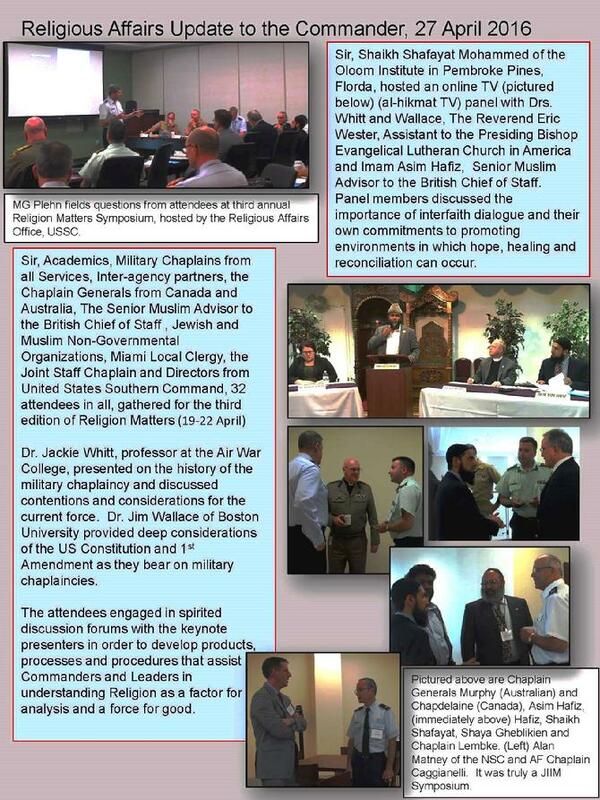 Since then we have regularly collaborated, and I am a columnist for his monthly interfaith publication. 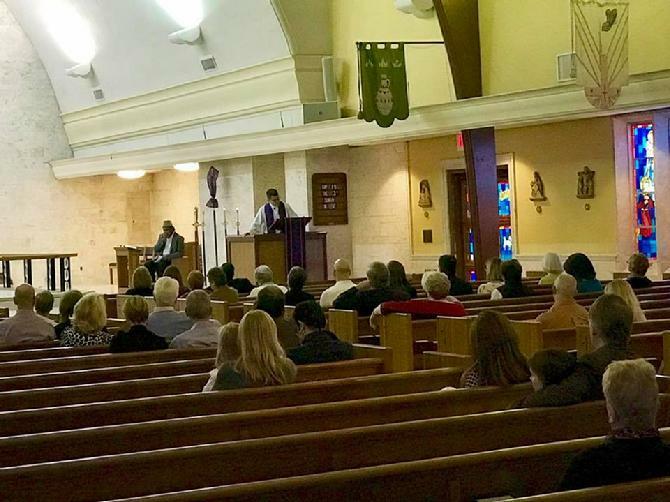 Sheik Shafayat spoke at my installation as Priest at St. James The Fisherman last January, and I often speak at gatherings at his Mosque. 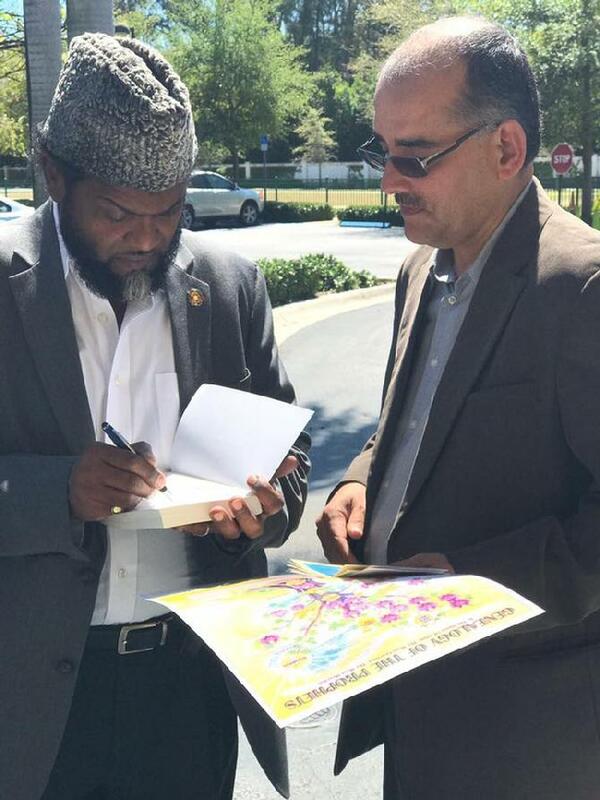 While my religion is the center of my life, and Sheik Shafayat is clearly nourished and centered in his Islamic faith, we have come to respect, understand and love one another. If God is love, and we can learn to love one another, than perhaps we already have the answer. Just imagine the "ripple effect" that such revolutionary touching of hearts might produce in The Keys, throughout the United States, our world...our universe. 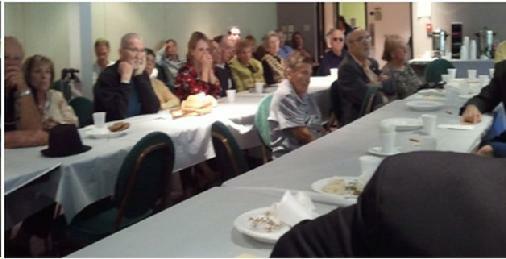 Photo above: Audience at the Interfaith Program. After the speeches by different speakers there was a question and answer session, which made the audience have a better understanding of Jews and Muslims. 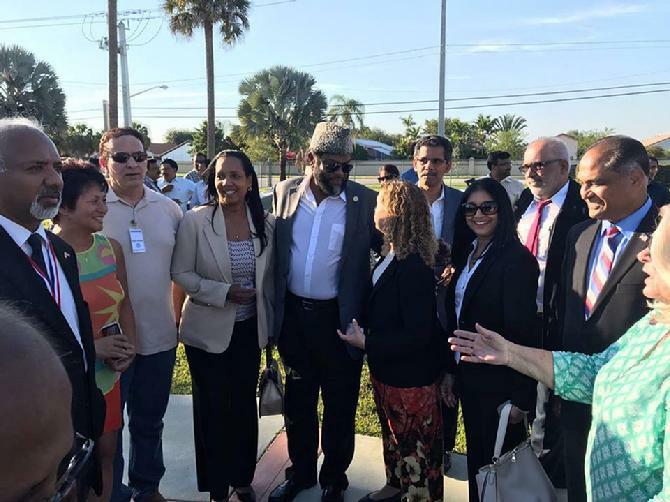 The congregation of Temple Sinai of Dade specifically requested to visit Darul Uloom Institute. The event was a great experience. 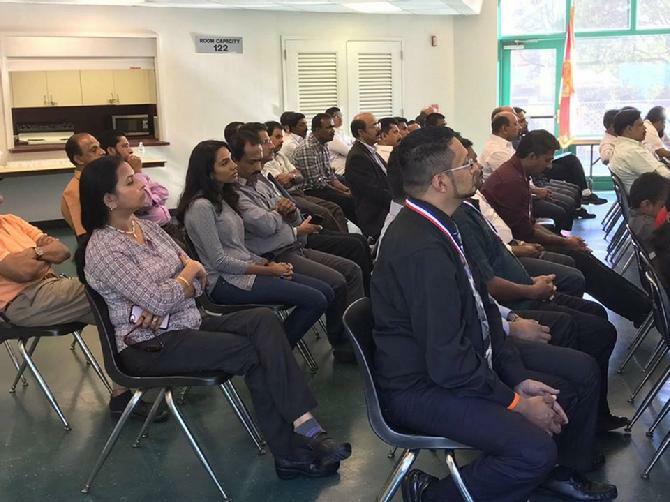 The Inter-Faith Council Of Greater Hollywood is an association of individuals, not of officials commissioned by their respective religious bodies. It is not our purpose to blend, merge, or modify distinctive beliefs of its members. 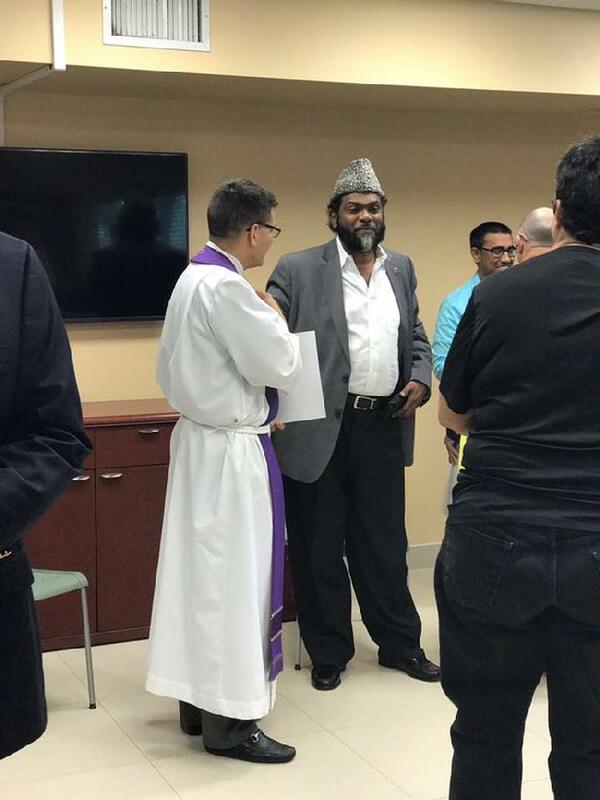 The Council seek to promote justice, uunderstanding and cooperation among people of all faiths. It strives to eliminate inter-group prejudices which distort religious, business, social and political relations and to maintain at all times a society in which a reconciled community and justice are evident. PLEASE MAIL THE FOLLOWING APPLICATION: INCLUDE MEMBERSHIP \ RENEWAL DUES WITH THIS APPLICATION. Your membership year is from June 1st to May 31st. Your membership after April 1st is extended through the next year. Your dues enable the organization to provide a variety of programs and KEEP you informed of activities and events happening in the community.